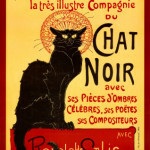 This forum contains 22 topics and 56 replies, and was last updated by Le Chat Noir 3 years ago. Happy Birthday Peter Cushing, OBE! Do You Want to Smell Like Holmes? Happy 10th Anniversary, Rebooted Doctor Who! "The Changing Role of Legacy Characters"